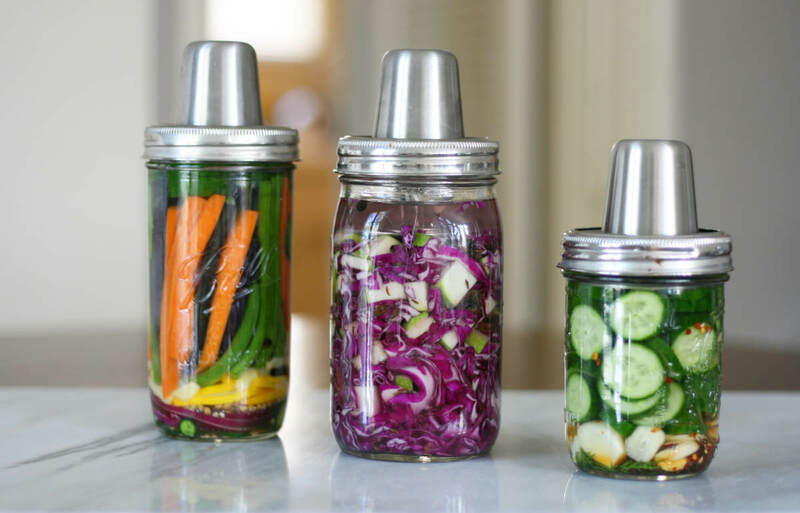 There are many ways to ferment fresh vegetables, fruits, and drinks. Every culture around the globe has some form of fermentation technique and their favorite fermented food or beverages. This post is Part I of a 2 part series; I will be covering how to pickle vegetables using the brine - Jar 1 & Jar 3 in the photo above. Part II will focus on ruby sauerkraut using red cabbage and apples - Jar 2. In today’s post, I am going to cover and focus on brine-based natural fermentation technique. This method is super simple; It makes delicious, and nutritious pickles loaded with probiotics. All you need is some salt and filtered water. For making the brine, skip the tap water - go for spring or distilled water. Tap water contains chlorides, fluorides, and additives that may throw off the fermentation process. Also, please skip the table salt as it is typically iodized and contains anti-caking agents. I recommend using either sea salt or pink Himalayan salt instead. You can, in a pinch, use the Kosher salt. Use the recipes below as a starting point. Once you get this technique down, experiment with your favorite fruits, vegetables, spices, and herbs. Good luck! It is important to keep the harmful bacteria out, to create an environment that is conducive to lacto-fermentation. It takes a few days for lactic acid producing bacteria to settle in. During this time, it is important to keep out bacteria that can spoil the vegetables. The good bacteria creates lactic acid that acts as a natural preservative inhibiting the growth of harmful bacteria. As part of the process, the good bacteria lowers the pH of the environment and produces CO2 (Carbon dioxide). So the tools used to make the pickle need to breathe while keeping harmful bacteria out. There are many tools available in the market, and they work just fine. A few years ago I supported Kraut Source as a Kickstarter project. 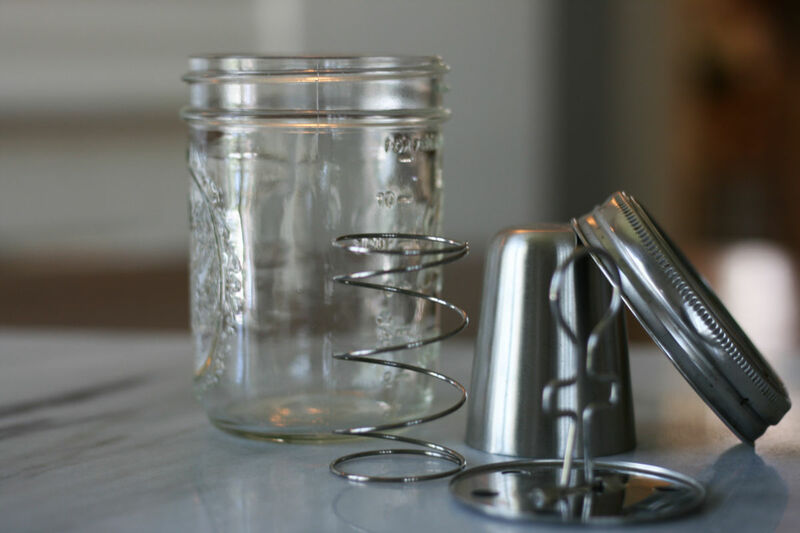 It is easy to use, and the best thing about it is, it works with my existing wide-mouth Ball/Mason jars. Stand carrots and beans vertically to pack. Use as an appetizer, as a side, on salads, on tacos, etc.